ade via US credit card.). We will show you how to buy Kindle books in Singapore using both methods: the “normal way” (do it at your own risk) and the “risk-free” method. 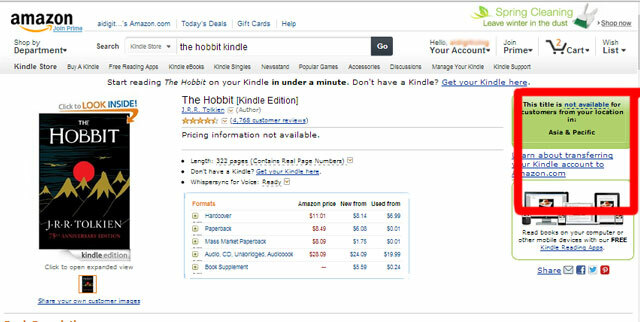 If you do not change the country settings, whenever you search for any book in Amazon.com, it will displays a message “This title is not available for customers from your location in: Asia & Pacific”, and you are unable to buy the book. – Go to Amazon.com and log into your account. – At the right top drop down menu, select “Manage Your Kindle”. 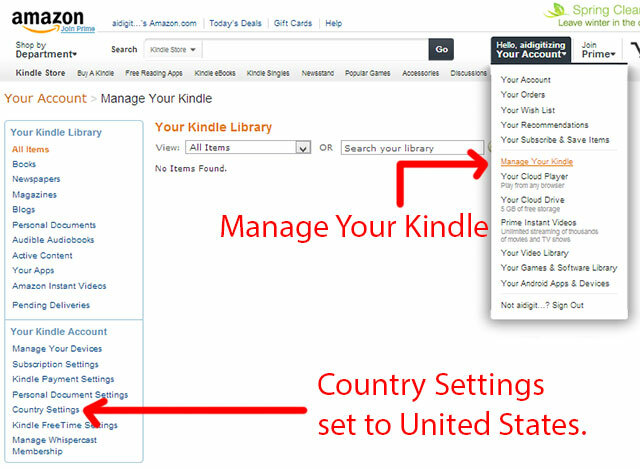 – You will see “Your Kindle Account” at the left panel, select “Country Settings”. 2. Load money into your Amazon account with Amazon Gift Card. – Select the amount. Say $50 or $100 or more if you buy a lot of books. – Enter your own email as Recipient E-mail. – Enter your credit/debit card details if requested. – Enter billing address if requested. – Place your order and the Amazon Gift Card will be sent to your designated email address. – Click the “Redeem now” button in the Gift Card. – It will redirect you to the Amazon account. – Login and click the “Apply to Your Account” button. – The money is now loaded into your Amazon Gift Card Balance. – You can set a US address to your billing address or “1-Click settings” in your Amazon account. IMPORTANT: REMEMBER TO KEEP A RECORD OF THE ADDRESS (ESPECIALLY POSTAL CODE AND TELEPHONE NUMBER) YOU ENTERED INTO YOUR ACCOUNT. – Go to your Amazon account, select “Manage Payment Option”. – Delete the card details. Now we are ready to buy some books for our Kindles. 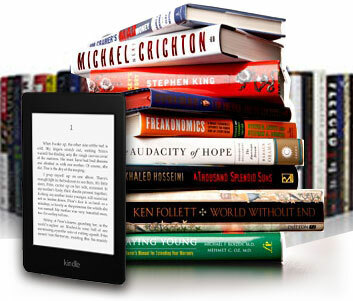 With this method, it is advisable not to buy book directly from your Kindle device. You will need a VPN installed on your computer, and buy books using your computer only. The Amazon can detect your location through your computer IP address. (you can simply see your IP address at the upper right corner of our website). – Visit this link: Private Internet Access VPN, sign up is FREE for 7 days. You will get a unlimited data after signed up the account. If you are using it for 1 time, then go for the monthly option. This is cheaper and it is only $6+ per month. Yet if you are using this just to buy Kindle books over 2 years or so, then go for the longer period for more cost savings. Furthermore, this VPN service can be used for other functions such as access other blocked sites in future. Private Internet works on Windows, Mac, Android and iOS devices. – After signing up the account, download the VPN software and install. – Have the book “Deliver to” your Kindle directly. (so far, we did not hear that anyone facing problem with direct deliver to Kindle when using VPN and Gift Card). – After you bought the book, do remember to disconnect the VPN. – That’s all. You should be able to download the book in your Kindle after few minutes or less.